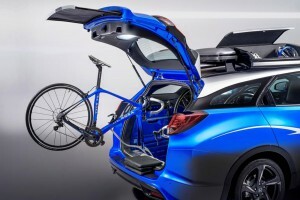 Honda have a new concept car that will displayed at Frankfurt Motor Show. 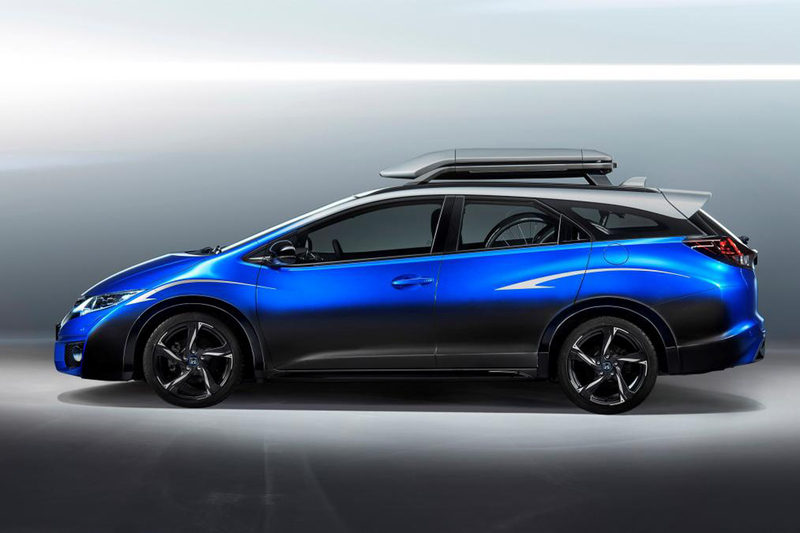 The concept car that is being revealed is the Honda Civic Tourer estate named the Honda Civic Tourer Active Life Concept. 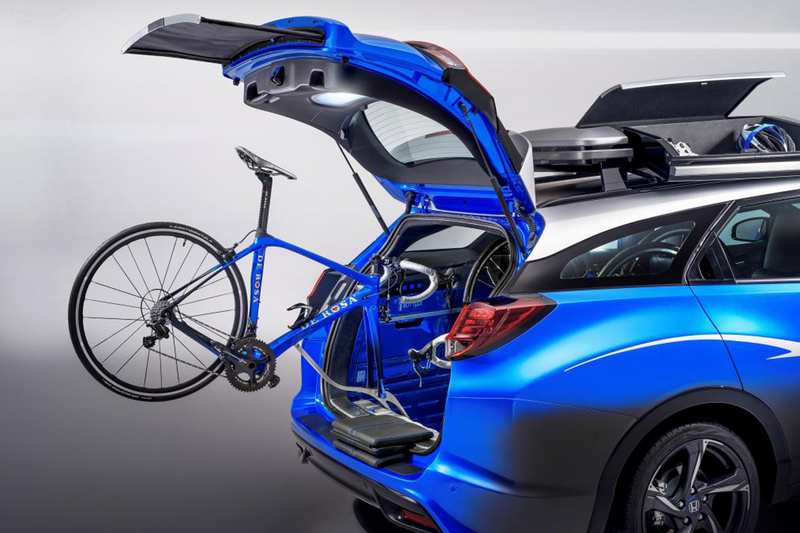 Smart bike loading rack – that is capable of transporting two bikes fully enclosed inside the car. 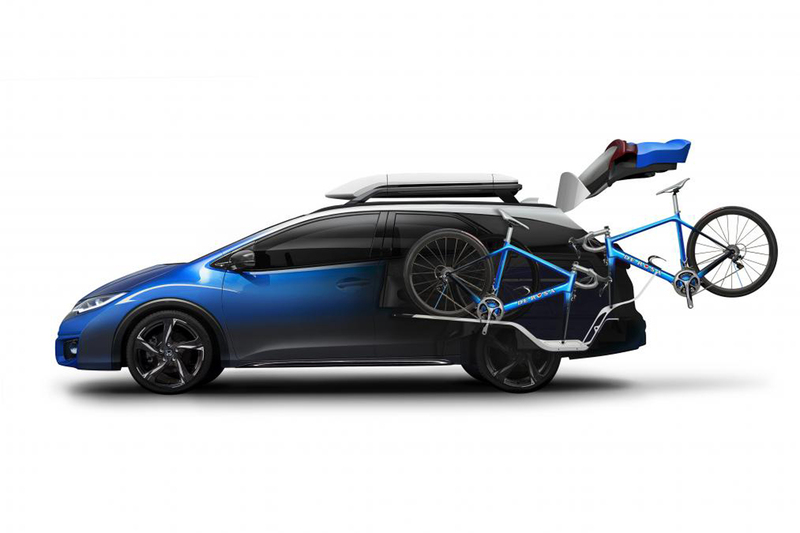 Specially designed aerodynamic roof box – for carrying smaller items such as helmets and other bike essentials. 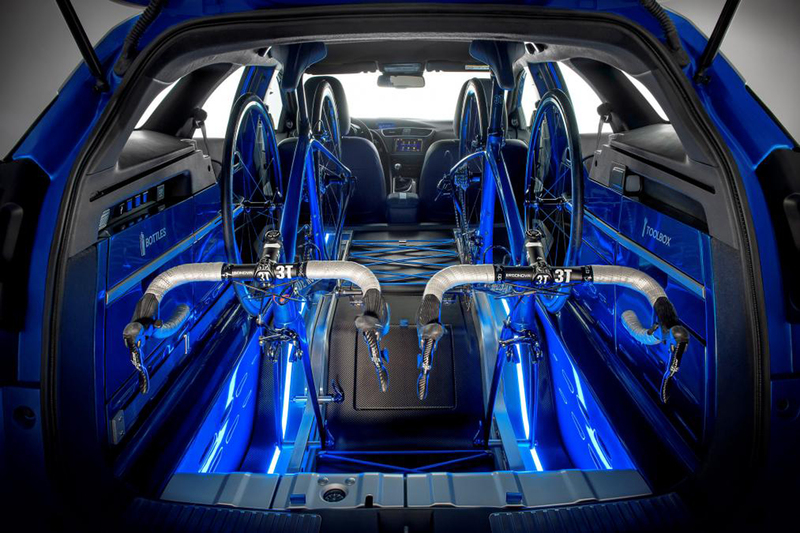 Blue detailing on the steering wheel, seats, gear shift and across the dash. 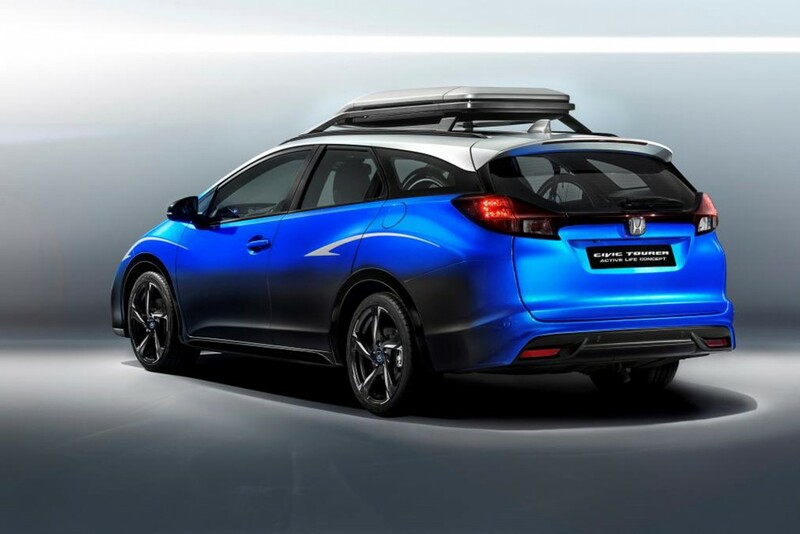 Black roof lining that mimics the Honda Civic Type-R. The Honda Civic Tourer Active Life Concept is powered by the 1.6 litre i-Dtec engine found in the normal Civic. If You have a chance to take a look at the Frankfurt Motor show.